So after 10 years my main hard drive finally packed in. I lost roughly 2 months of work, but thanks to various memory sticks and cloud storage I salvaged a fair amount of work. The biggest loss was all of the assets for the legend of fail opening 😦 I was actually planning on reusing the animations and redrawing the backgrounds. But with this incident, I’ll just remake it. I’ll try my hand at HD animation again, I was working with low res for a while since pixels = no line variance, and I was having an easier time. Sad times. I spent forever on that animation, but the more i look at it (as is the case with anything i do) the more i begin to dislike it :L I can think of a million improvements/things I would have done different so whatevs. OKAY. Time for pictures. First up is a commission i did for my friend Bobby. 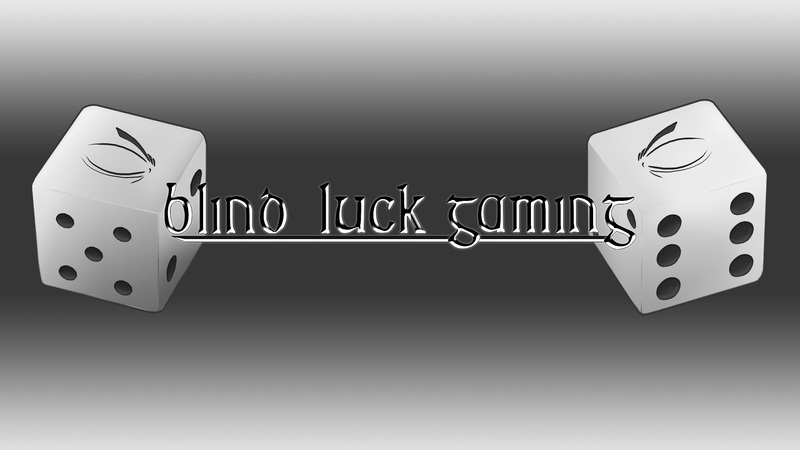 (star of the latest legend of fail episode) Him and his friend run a Youtube channel called blind luck gaming and i supplied the logo & title. Dice art style variants. I’m partial to number 5. Text style variants. I like doing commissions this way since it gives the client more input/choice. 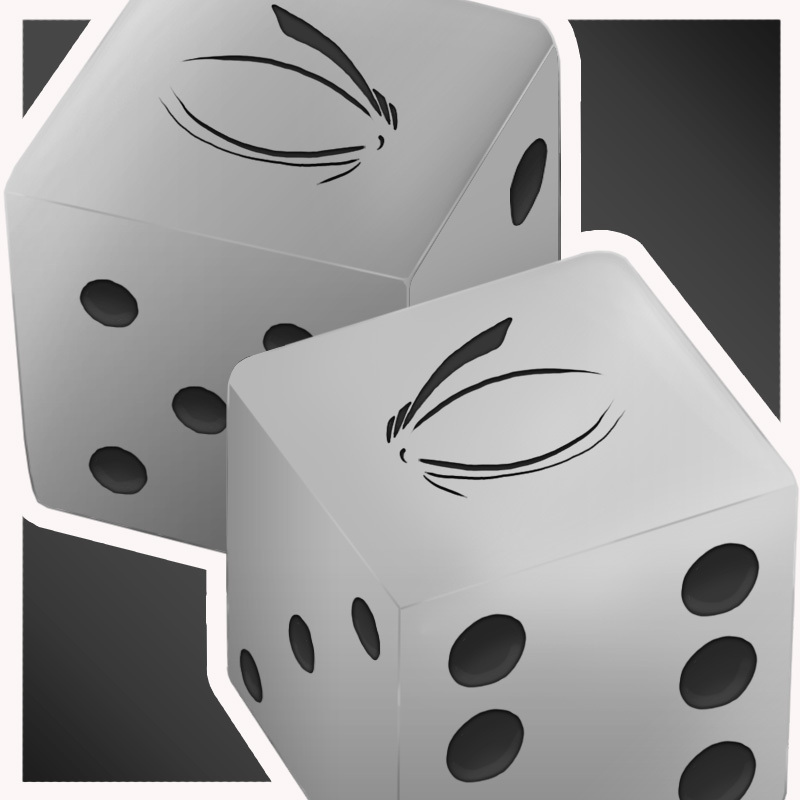 Final dice. Profile picture format. Final text logo & Youtube banner. 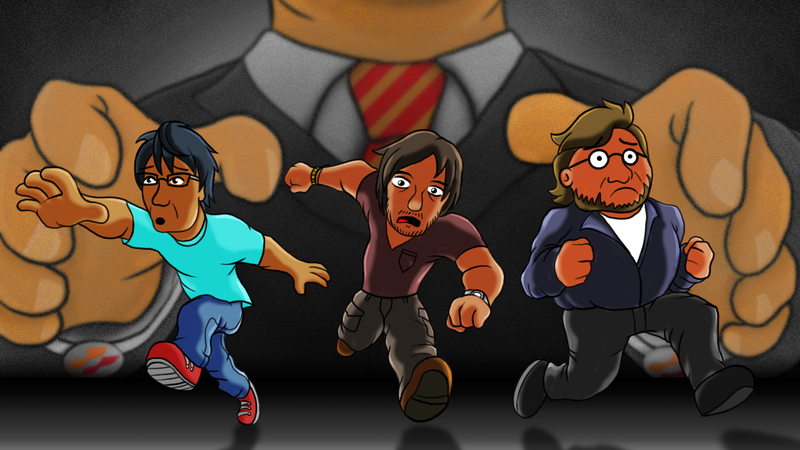 Hoping I will have the chance to create title cards/characters/animation for them down the line! Their Youtube work is pretty entertaining, they have some really solid banter be sure to check them out. Another commision i managed to get done right before my hard drive died was the opening animation for Mallo Mallow gamers podcast. Very chuffed with this one. I’m wanting to redo the characters colour schemes at some point however. My friend Jay has been ramping up production on his Crispysinger website. 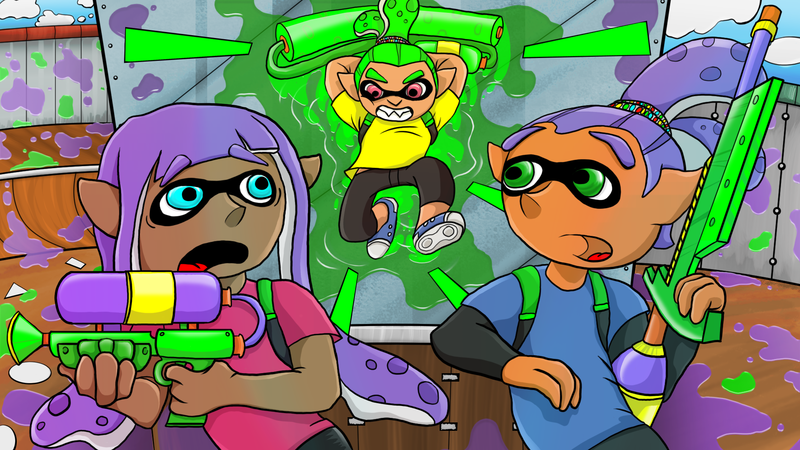 I’m actually writing a review of splatoon for it as we speak, and our friend Jojo joined the team. Here’s his display picture in the sites art style. I really enjoy doing caricatures in this style. I may go on another art bender and do my entire friends list this way. Jojo’s first contribution to Crispysinger was a editorial/news recap on Silent Hills. Here’s the preview image i made for it. I had a great time making this. I couldn’t stop laughing. Note the cuff-links on the evil looming businessman in the background. My not so subtle jab at Konami’s recent business practices. Hopefully everything pans out with Silent Hills and Kojima’s employment. I’m not the avid writer that Jojo is, but i did give a crack at composing a review. I’ve been playing a Lot of Splatoon lately. Absolutely loving it and I felt the need to sing its praises and address some niggling detriments. Here’s the preview image for the review. Chomping at the bit for some downloadable content. Something I never thought I’d say. Last bit for the day. Did some wee fanart for myself. 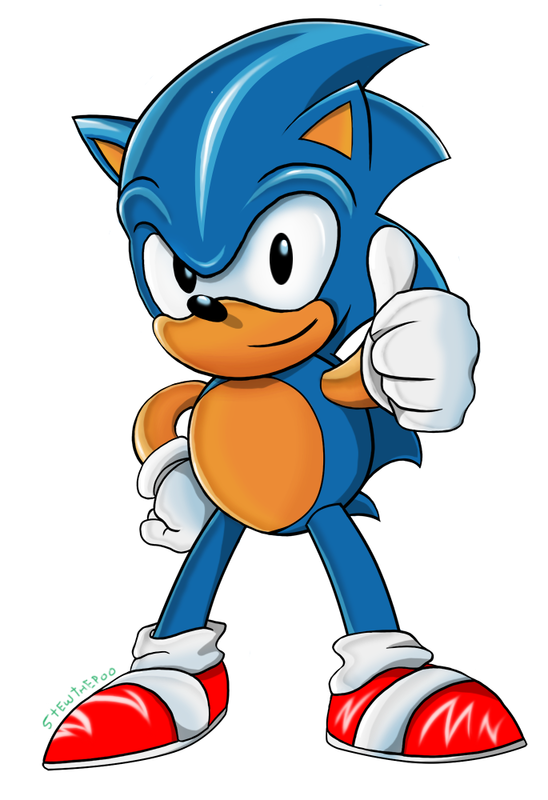 Drawing of Sonic in the art style of Fleetway Sonic the comic as drawn by Richard Elson, a terrific cartoonist. So much love for the Fleetway version. Best characterization of the character ever.